Porter Wright today announced that attorney Timothy D. Gallagher has joined the firm as a Partner on its Corporate legal team. Tim will focus his practice on providing practical and strategic legal advice to clients with respect to their transactional, operational and litigation matters. Tim joins Porter Wright from FFC Capital, an investment management office based in Pittsburgh, where he served as Vice President and General Counsel. At Porter Wright, he will integrate his legal and business leadership experience to serve clients in mergers and acquisitions, private equity and venture capital, international business transactions, securities, emerging businesses, real estate transactions and other transactional matters. 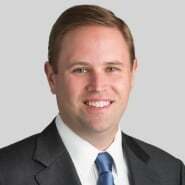 Prior to FFC Capital, Tim was a partner with Thorp Reed & Armstrong, LLP. After receiving a B.S. in Business Management from Indiana University of Pennsylvania, Tim completed his M.B.A. from Duquesne University and his J.D. from Duquesne University School of Law.